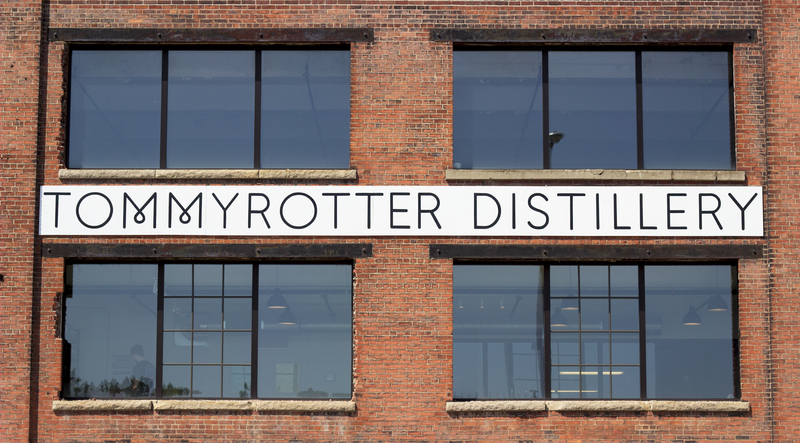 Tommyrotter Distillery has just opened its doors in the Hydrolics District of downtown Buffalo. 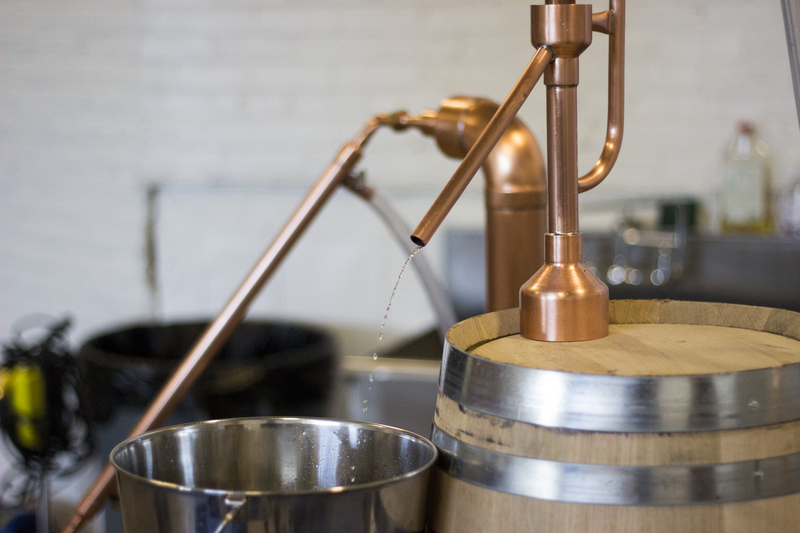 Their small, clean, beautifully designed space functions as both distillery and storefront, showcasing all their products as you look over their production floor. 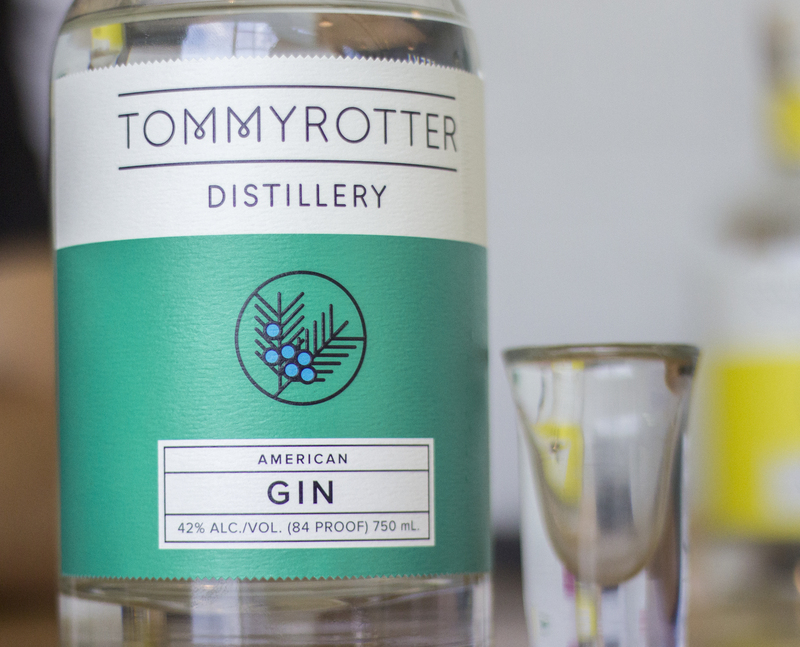 Right now initial batches of Tommyrotter’s premium vodka and gin, retailing for $30 and $35, are available for purchase at the distillery. Plans for local distribution are in the works starting in Autumn. 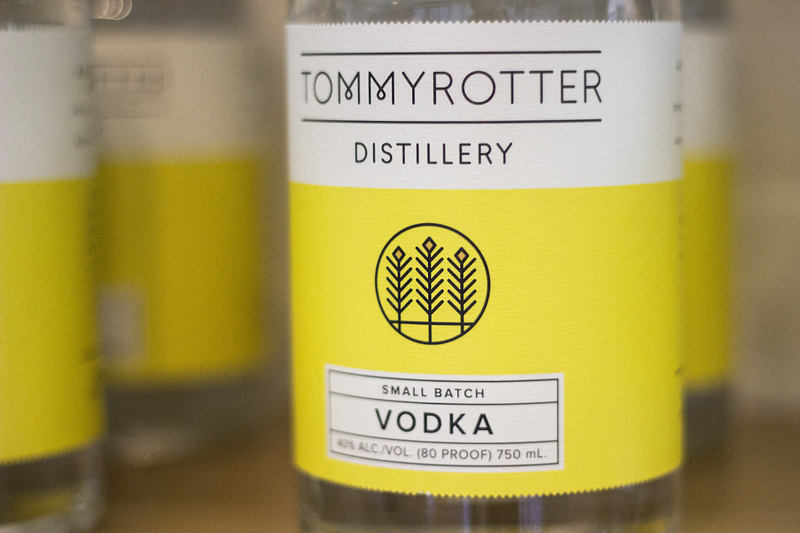 Tommyrotter Vodka is a simple, very clean rendition. It’s made using a blend of NYS wheats and corn. It has a smooth texture with a sweet vanilla-ish pop of flavor and an easy finish. 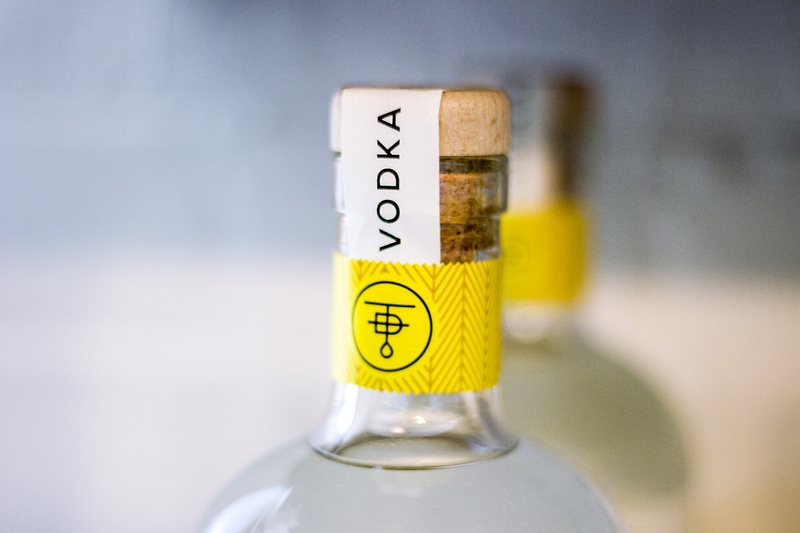 It’s a good vodka that will mix well in cocktails. 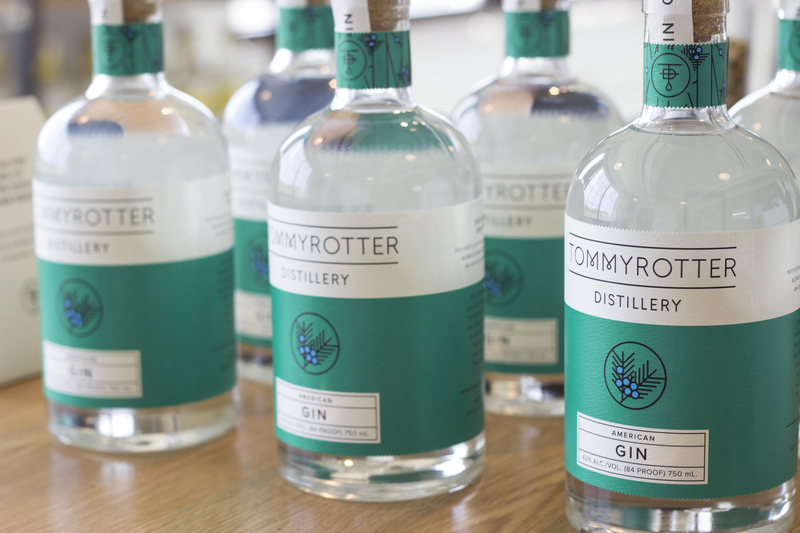 We absolutely loved the Tommyrotter Gin. 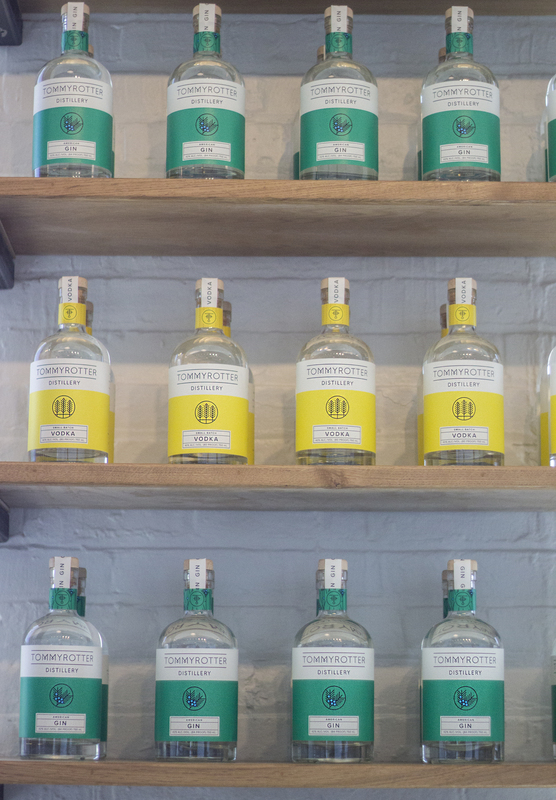 They use the same base spirit as their vodka adding 12 botanicals — Juniper, coriander, Angelica root, cardamom, grains of paradise, lemon rinds, orange rinds, elderflower, hybiscus, camomile, cacia root (cinnamon) and nutmeg. The nose is big, really big, loaded with herbal and floral aromatics. 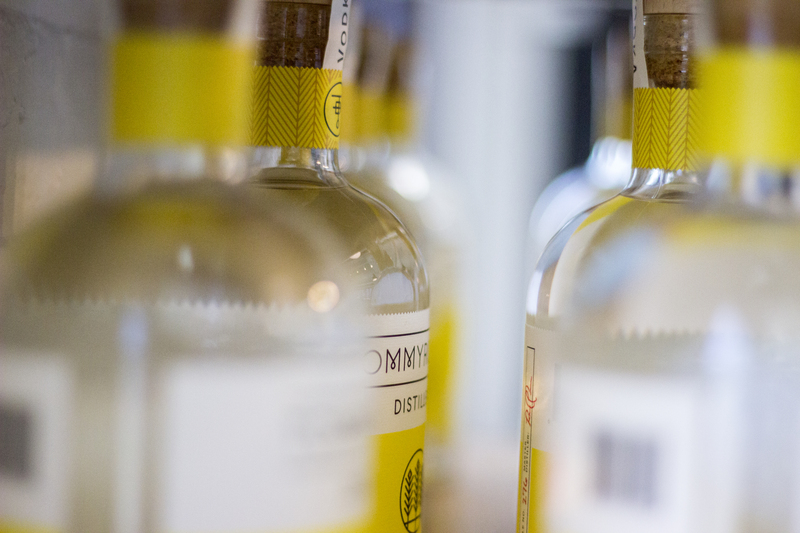 We’re hard pressed to remember a gin with this much flavor on the nose. A peppery spice enters mid-palate. The flavors combine to fill your mouth not with a hot spirity bite, but with a full, complex herbal spice. 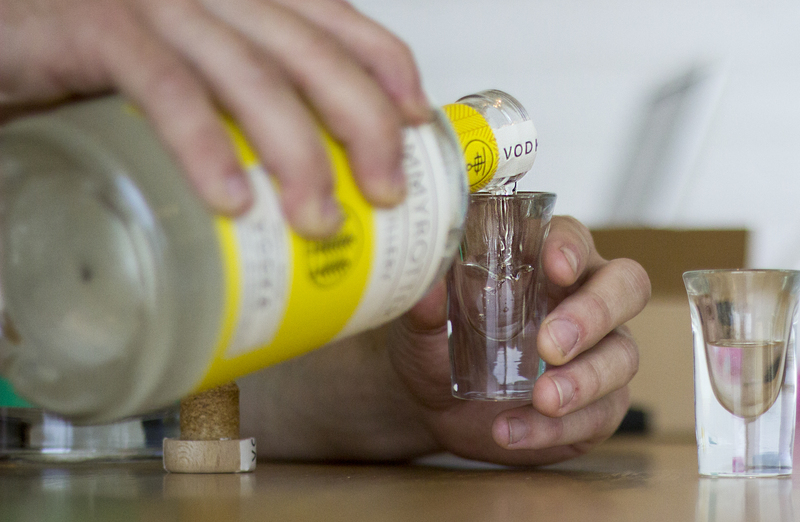 It finishes smooth and short with no trace tannins left on your tongue — just like you want your gins to finish. 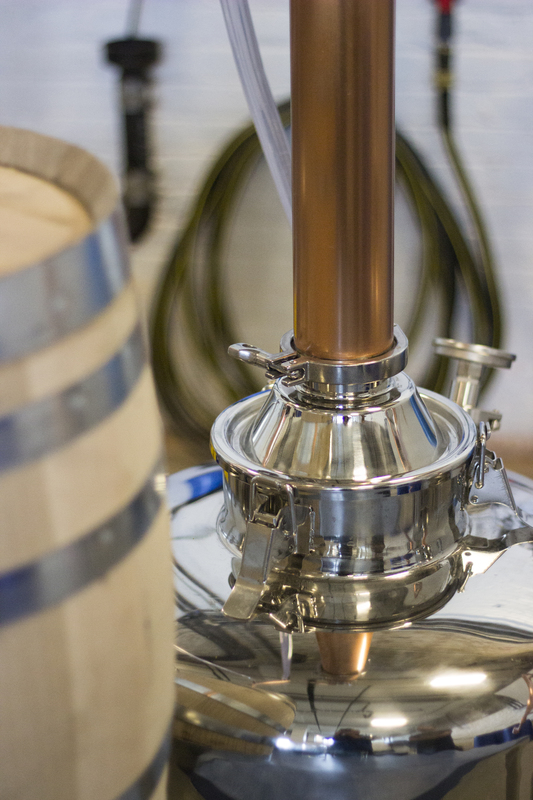 Great texture, balance and flavor make this young Buffalo-made spirit an absolute must purchase. BWG Tommyrotter Gin Rating: 91/100. Join Tommyrotter’s email list and follow them on Facebook, Twitter and Instagram for news and special events. 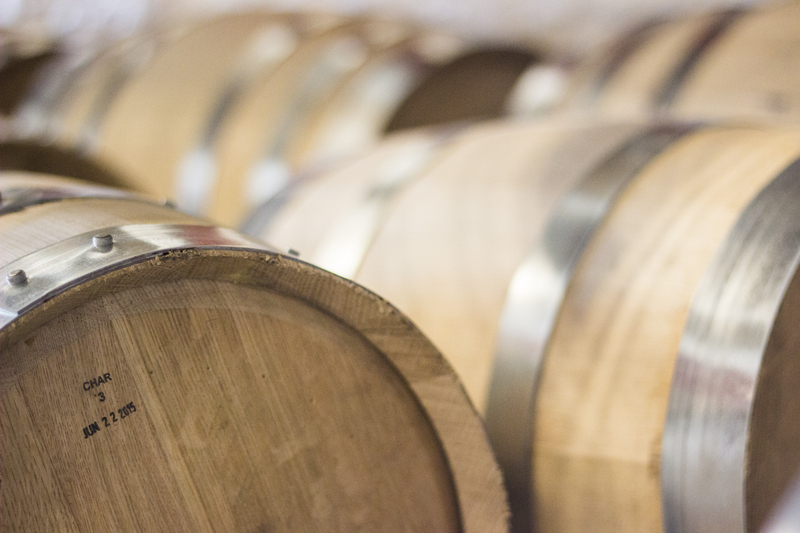 Swing by their distillery, enjoy the spirits and let BWG know what you think. Cheers! 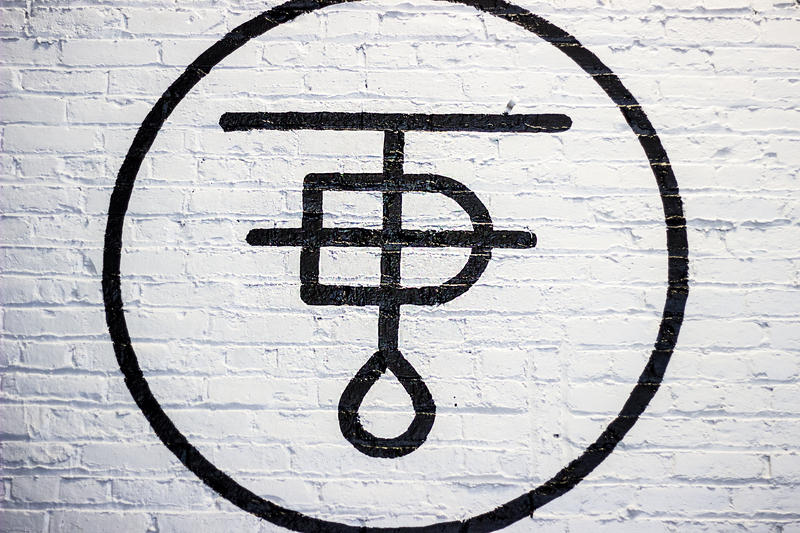 Tommyrotter Distillery | 500 Seneca St. Suite 110 | Buffalo, NY | Open Thursday and Friday, 4-8pm. Saturday 12-4pm. This entry was posted in Distilleries, Local, Local Pride, Products, Spirit, Stores and tagged Buffalo NY, gin, tommyrotter, tommyrotter distillery, vodka. Bookmark the permalink.